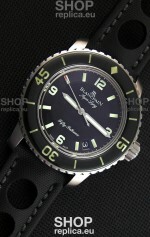 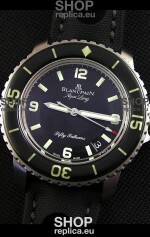 The Finest Blancpain Replica up to date in this model. 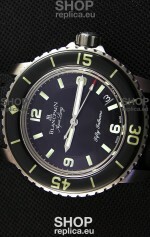 Machinery has been assembled to resemble the Authentic Blancpain Movement. 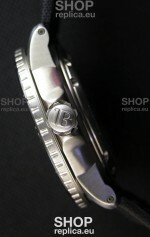 Polished 316L Stainless Steel Case with Bi-Directional Rotating Ceramic Bezel. 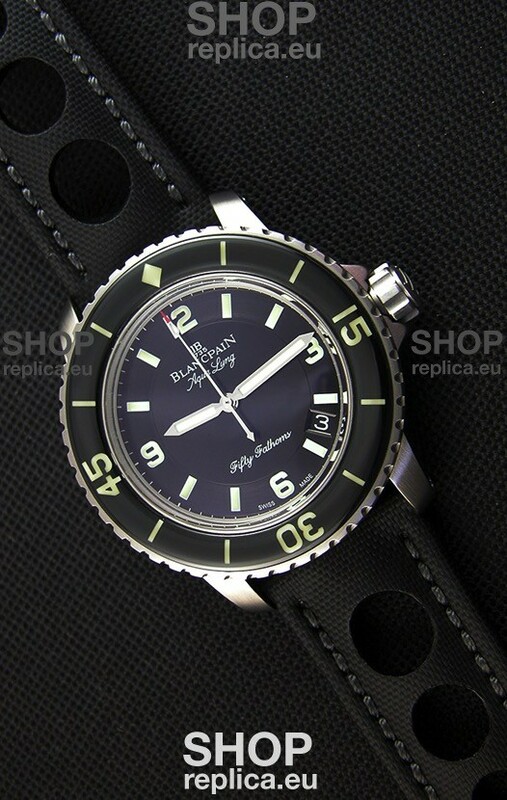 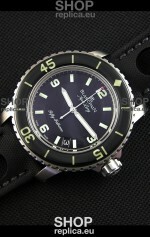 Black Dial with Date Window between 4 and 5 O'Clock Markers. 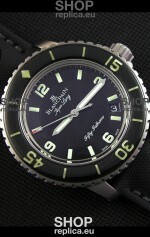 SuperLumed Hour Markers. 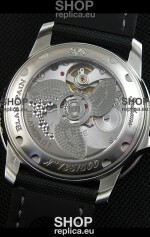 Domed Scratch Proof Sapphire Crystals with Double AR Coating. 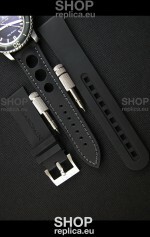 Genuine Black Strap Made from Yacht Sail Canvas with Stainless Steel Foloding Clasps complete Blancpain Markings and Engravings. 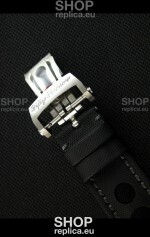 EXTRA Strap in Rubber with Tang Buckle Provided for Free with Strap Removal Tool.